"ELECTRONIC ARTS SELECTED FOR MULTI-YEAR AGREEMENT FOR THE FUTURE OF STAR WARS GAMING"
Now this may of come as a surprise to many but will this contract with EA revive the Star Wars gaming genre as we know it? Needless to say, EA will go to great heights to insure that Star Wars gets its name out even further in the gaming industry. The contract states that EA will be creating Star Wars games with the support and backbone Disney Studios and LucasFilm, the games will span across consoles, PC, tablet and handheld. The developers who created Frost Engine (DICE) will be developing a series of Star Wars games in the years to come. Other developers include; Visceral who created the Dead Space series and Bioware who created the Mass Effect series. All 3-development studios will be working together and separately on creating new Star Wars games. Bioware is already in control of Star Wars the Old Republic which is a MMORPG that you can sign up for and play right now. EA studios will be developing the core Star Wars games which means games such as "Battlefront" and "The Force Unleashed" Disney Interactive on the other hand though will be developing more child friendly games on handhelds. "Every developer dreams of creating games for the Star Wars universe," said EA Labels President Frank Gibeau. 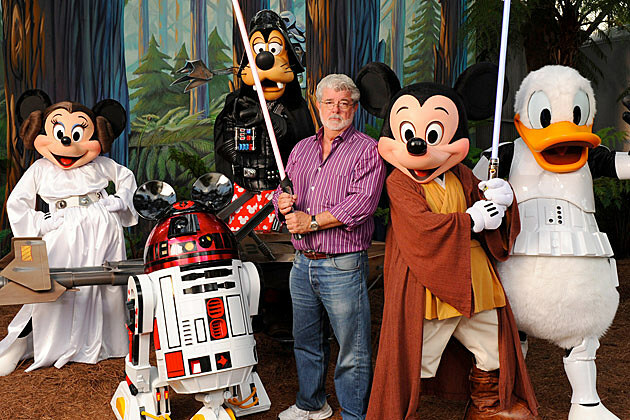 "Three of our top studios will fulfill that dream, crafting epic adventures for Star Wars fans. The new experiences we create may borrow from films, but the games will be entirely original with all new stories and game play." So after my hearing of this, I jumped to a conclusion and said "why EA, they we're voted worst company of the year for years in a row and have online passes for all their games" Then I read the article and said "Hmm.. The studios behind Battlefield, Dead Space and Mass Effect, all working on Star Wars games? Not bad"
What are your thoughts on this? I hope EA can redeem themselves and give back some peoples childhoods because a lot of people grew up to Star Wars and to many people, Star Wars was the greatest part of their childhood, I'd hate for EA and Disney to ruin that with some silly "always online" "Online Pass" garbage. Here is a video of game play of Star Wars Battlefront 3, take note that this game was being created but then Star Wars was sold to Disney and LucasArts had to stop development and pack up.